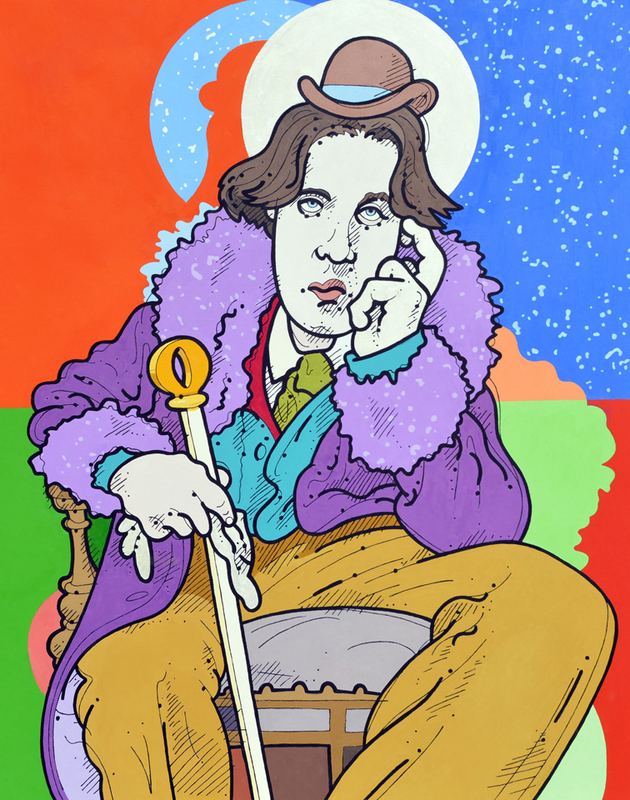 Oscar Wilde lectured throughout the U.S. for an entire year, perhaps making of himself the world’s first celebrity, to support a touring show he wrote starring a character comically based on himself. My usual, iconesque centering of the chakras anchors the subject and allows me to take more liberties with symmetry. The color and fashion of his clothing was as respectfully researched by me as it would have been chosen by him, except for the little clay hat he must have bought when he visited New Mexico.